I'm using old-style Maerklin semaphores for my signals. 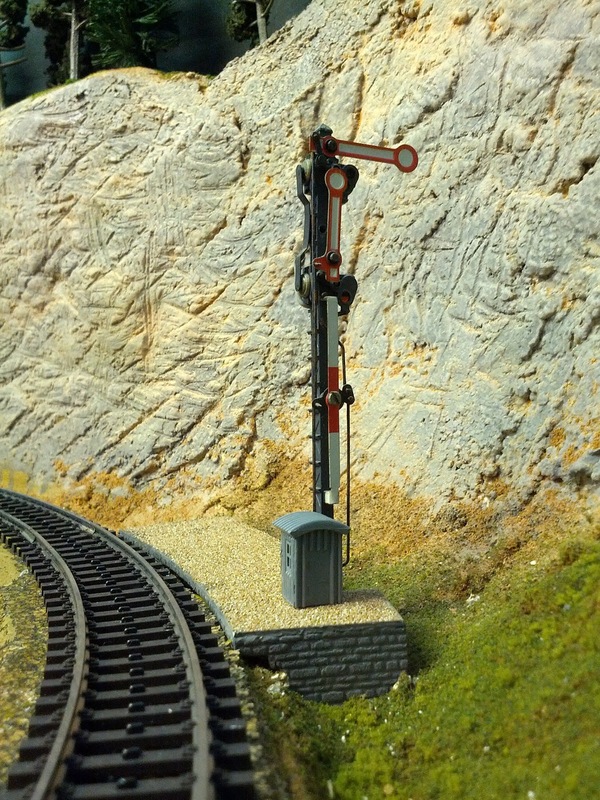 The masts are attached to a dual-coil switch machine which is quite bulky. 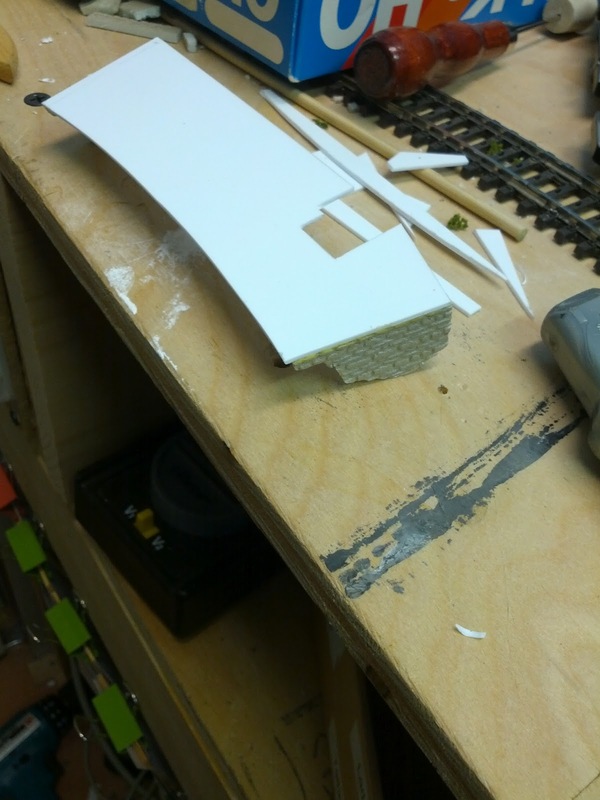 In station areas I managed to hide them between the tracks and lowered them into the roadbed. 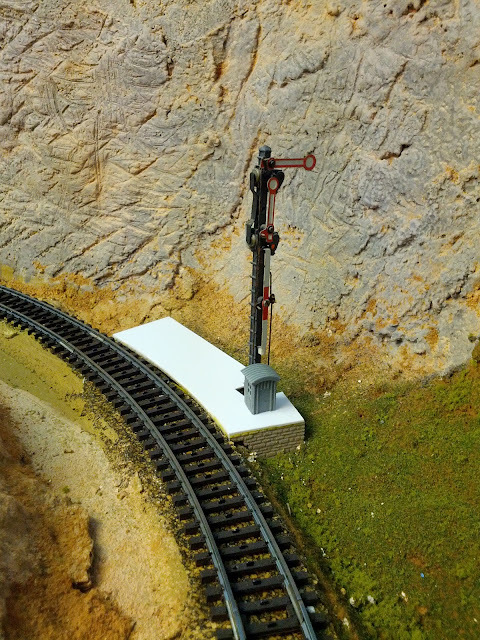 However, Emsingen's entry signal A is out in the middle of the forest, and I do need the machinery to be accessible for servicing. 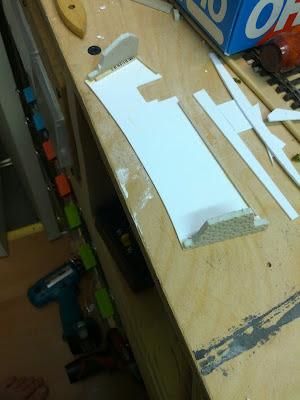 In this case ended up fitting a sheet of styrene over the space, brace it with some wood, and cover the ends with stone sheet. Placing the cover at the signal showed that I didn't get the cutout for the mast quite right and had to enlarge the hole. I'll put a telephone cabin in front of the hole, so that it's not quite as obvious. Yes, this is actually one of the triple-coil semaphors, so the cover needed to be quite big. Cover painted and topped with a thin layer of fine sand. I painted the base and topped it with a thin layer of fine sand. Looks much better than the stark white of styrene.